Anybody with a sweet tooth knows how hard it can be to resist a sugar craving. While an occasional small dessert is acceptable, regular snacks on sugary foods should be avoided. Sugar contributes to dozens of health problems, most notably obesity and diabetes. When you get a craving but know you shouldn't give in to the temptation, use apple cider vinegar to help you through it. 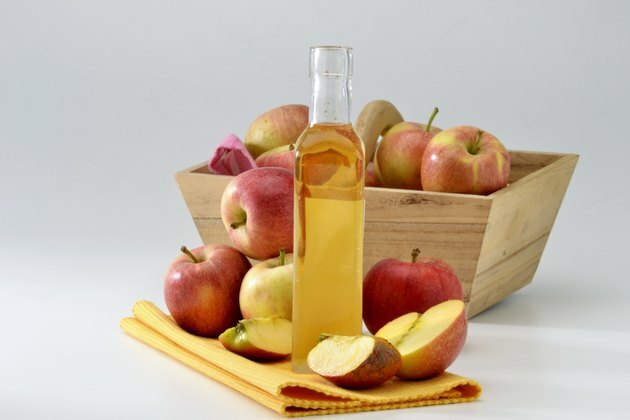 Apple cider vinegar can instantly bring a sugar craving to an end. Measure ¾ cups of cold water. Pour the water into a drinking glass. Add 2 tsp. of raw, unfiltered apple cider vinegar to the water. Because vinegar has such a strong taste, diluting it with water makes it easier to drink. Stir the liquid with a spoon until the liquid has an even color. Drink the entire contents immediately after stirring. Repeat the process each time you have a craving for sugar. Raw, unfiltered apple cider vinegar is best to use as it contains more beneficial minerals than filtered cider vinegar.